The Daily Briefs are a comprehensive update of current affairs for the day. If you’d like to receive updates for current affairs every day, you’ll need to subscribe by entering your email address at the right side of this page. The Union Ministry of Human Resource Development proposed a draft bill to repeal the University Grants Commission (UGC) and set up the Higher Education Commission of India (HECI), a move that aims to reform higher education in India. The draft Act is in accordance with the commitment of Government for reforming the regulatory systems that provide for more autonomy and facilitate holistic growth of the education system. The Act entitled ‘Higher Education Commission of India Act, 2018 (Repeal of University Grants Commission Act)’ revamps UGC Act, 1951 and its parent legislation completely. The HECI Act, 2018 is expected to be introduced in Parliament in the upcoming monsoon session. Union Minister Prakash Javadekar has appealed to all educationists, stakeholders and the general public to give comments and suggestions on the draft legislation at reformofugc@gmail.com by July 7, 2018. 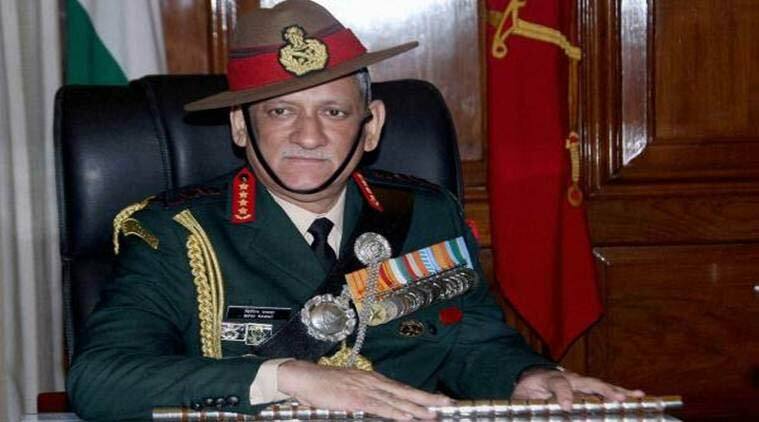 Army Chief Gen. Bipin Rawat rejected the report by the U.N. Office of the High Commissioner for Human Rights (UNHCR) on Kashmir as “motivated” and said the human rights record of the Indian Army was “above board”. Earlier this month, in its first-ever report on the human rights situation in Jammu and Kashmir, the UNHCR alleged widespread rights abuse on both sides of the Line of Control (LoC) and called for an international investigation into such instances. The 49-page report that has been rejected by India focused on the situation in the State between January 2016 and April 2018 in which there was major escalation in violence. With the status of special secretary to the central government S Ramesh, senior bureaucrat has been appointed as Chairman of Central Board of Indirect Taxes and Customs (CBIC), the apex policy-making body for indirect-taxes by the Union Government. He will succeed Vanaja N Sarna who retired on June 30, 2018. S Ramesh is 1981 batch officer of the Indian Revenue Service (Customs and Central Excise). Prior to this appointment he was member in CBIC, mandated with responsibility of implementing the Goods and Services Tax (GST). Ten new heritage sites of the country today firmed up action plans for raising their sanitation standards to exemplary levels. These Places are Sri Raghavendra Swami Mutt Mantralayam (Andhra Pradesh), Hazarduari Palace (West Bengal), Shri Brahma Sarovar Temple (Haryana), Vidur Kuti Temple (Uttar Pradesh), Mana village (Uttarakhand), Pangong Tso (Jammu and Kashmir), Shri Nag Vasuki Temple (Uttar Pradesh), Nupi Keithel (Manipur), Sree Dharma Sastha Temple (Kerala) and Kanvashram (Uttarakhand), which constitute Phase-III of the Swachh Iconic Places (SIP) initiative of the Swachh Bharat Mission, coordinated by the Ministry of Drinking Water and Sanitation. The plans were formulated at a two-day consultation in Hyderabad held between Central and State Government agencies, local administrations and the Trusts/ Boards of the iconic places. In all, over 100 delegates from across the country attended the consultation. All the thirty Swachh Iconic Places selected so far under the initiative resolved to make their sites completely free of plastic at the event. The Union Government has appointed Anant Barua as whole-time member of the Securities and Exchange Board of India (SEBI) for three years on the pay as admissible to additional secretary to the central government or a consolidated salary of Rs 4 lakh per month. Barua at present is an executive director in SEBI. He, commerce graduate with LL.B from the University of Delhi had taken charge as executive director of market regulator in May 2010. Prior to this assignment, he had been working as a legal adviser in Legal Affairs Department (LAD), SEBI since 1992. He was on deputation to Central Bank of Bahrain as legal adviser and has also worked with National Fertilizers Ltd. (NFL), Industrial Finance Corporation of India (IFCI) and DCM Ltd.
India has pledged $5 million for United Nations Relief and Works Agency for Palestinian Refugees (UNRWA) in the Near East. Besides India, 19 countries also made pledges (contributions) for UNRWA at the Pledging Conference for UNRWA held in New York, US. Among the donors, Sweden has pledge to contribute US $250 million over four years, $ 51 million and UAE $50 million. UNRWA’s financial situation had become catastrophic due to sudden loss of US $300 million in voluntary contributions. In March 2018, India had announced at conference in Rome (Italy) that it was raising its annual contributions from $1.25 million per year to $5 million for next three years. India announced to increase its grant to Global Environment Facility’s (GEF) new four-year investment cycle, known as GEF-7 from $12 million to $15 million. It was announced at the GEF Council meeting held at Da Nang, Vietnam and approved a $4.1 billion replenishment of GEF-7. GEF is multilateral financial mechanism that provides grants to developing countries for projects that benefit global environment and promote sustainable livelihoods in local communities. It was established on the eve of 1992 Rio Earth Summit to help tackle our planet’s most pressing environmental problems. India has been a leading developing country participant in GEF since its inception and has played a major role in shaping GEF. India is both donor and recipient of GEF. French state-run power utility EDF and American conglomerate General Electric (GE) have signed strategic cooperation agreement with State-run Nuclear Power Corporation of India (NPCIL) to build for construction of 6 EPR (European Pressurized Reactors) type nuclear reactors of capacity 1,650 megawatt (MW) each at Jaitapur nuclear plant in Ratnagiri district, Maharashtra. GE Power will design conventional island for the plant and supply its main components. EDF will supply EPR technology and will be responsible for building and coordinating industrial partners for this project. It will be responsible for engineering integration covering entire project (nuclear island, conventional island and auxiliary systems) and will provide all the requisite input data. The Food Safety and Standards Authority of India (FSSAI) on June 26, 2018 recommended stringent punishment for those adulterating food products following the Supreme Court order. Now, those adulterating food products could face life imprisonment and penalty of up to Rs 10 lakh. The recommendations are the part of amendments proposed by the FSSAI to amend the Food Safety and Standards Act, 2006. The draft proposal recommends insertion of Section 59 in the Act that states the punishment for the food adulterers. It calls for punishment of 7 years, which could be extended up to life imprisonment besides a fine of Rs 10 lakh, if individuals or businesses intentionally add adulterants to food products. 1. Which act is proposed to repeal University Grants Commission (UGC) Act 1951? 2. Who has been appointed as chairman of Central Board of Indirect Taxes and Customs (CBIC) in July 2018? 3. Where are the 6 EPR (European Pressurized Reactors) type nuclear reactors of capacity 1,650 megawatt (MW) going to setup? 4. Who has been appointed as whole-time member of the Securities and Exchange Board of India (SEBI)?